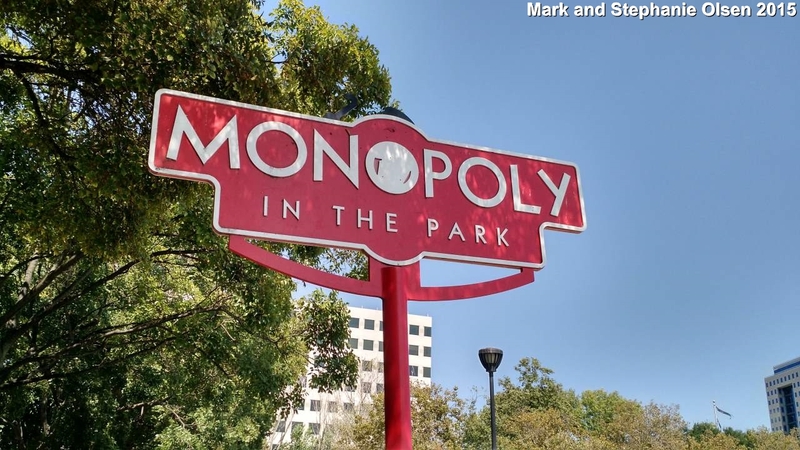 In San Jose near the Children's Discovery Center in Downtown San Jose's Guadalupe River Park and Gardens, lies Discovery Meadow, home to the Guinness Book of World Record's acknowledged largest permanent outdoor Monopoly Board. Built in 1992 by the San Jose Cypress Granite and Memorial, it was originally for an exhibition at that year's San Francisco Landscape and Design Show. San Jose Beautiful purchased the set after the show, eventually housing it in Discovery Meadow which opened in 2002, dedicating the game board in the park on July 26th, 2002. The board is 930 square feet. Each corner piece weighs 246 lbs and each standard side piece comes in at 140 lbs. 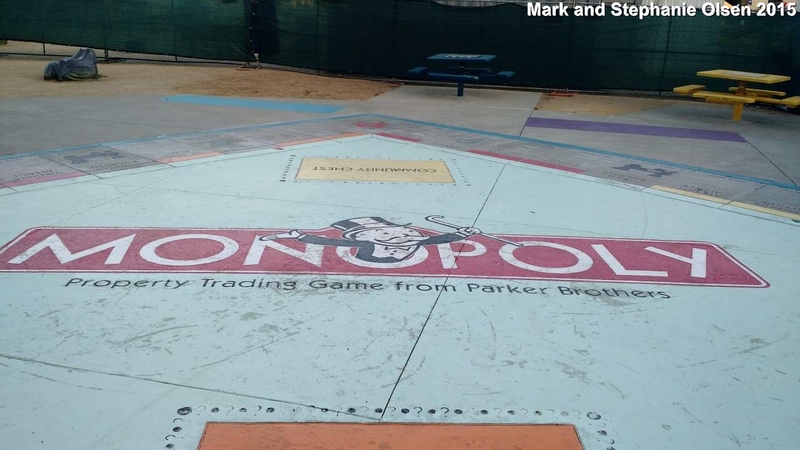 Players play with gigantic dice, wear large token shaped hats simulating the car, the shoe, and other standard Monopoly pieces, and even have to wear prison uniforms if they are unfortunate enough to "Go Directly to Jail". The location is available for rent and is run by the Friends of San Jose. Rental of the site reserves the playing pieces and other props, plus three docents who play the parts of coordinator, banker, and announcer. 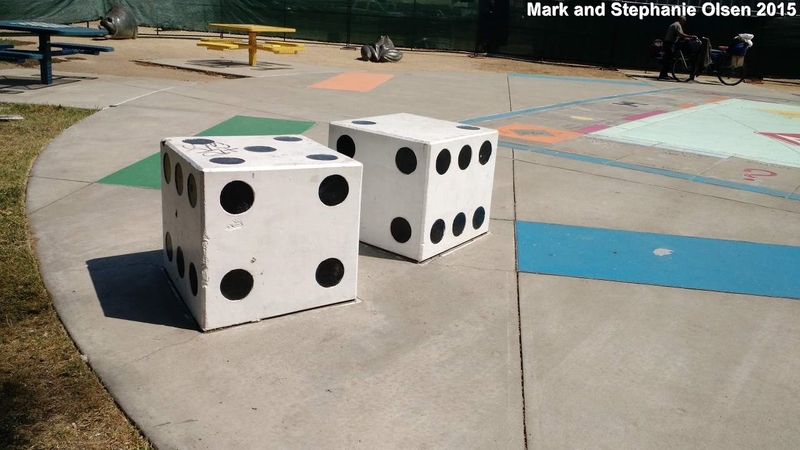 Proceeds go to a variety of areas throughout San Jose including park improvement, neighborhood improvement, landscaping, and children environment education. 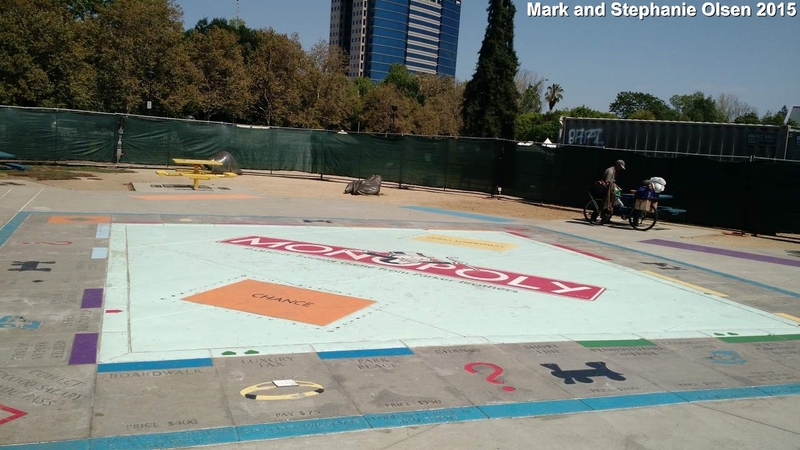 Plans for Discovery Meadow include adding an outdoor amphitheater as well as additional games along the lines of the large Monopoly board. Special thanks to Mark and Stephanie Olsen for some of the pictures.